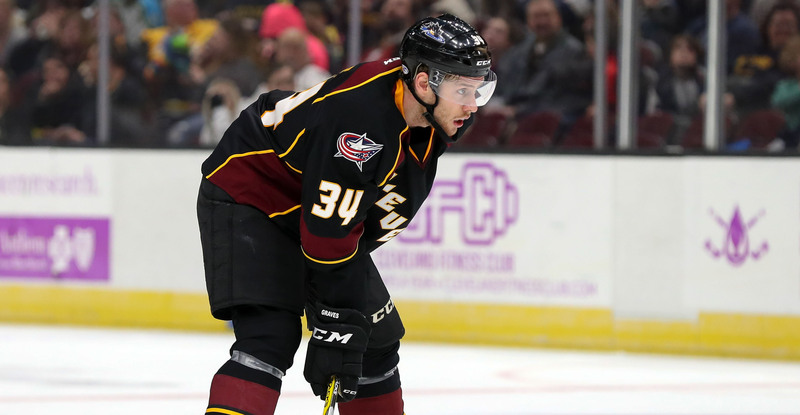 GLENDALE, ARIZONA – Arizona Coyotes President of Hockey Operations & General Manager John Chayka announced today that the Coyotes have acquired defenseman Jacob Graves and a conditional sixth round choice in the 2019 Entry Draft from the Columbus Blue Jackets in exchange for forward Ryan MacInnis. The 23-year-old Graves registered 3-3-6 with 29 penalty minutes (PIM) in 23 games with the Cleveland Monsters (AHL) last season. He also posted 0-4-4 and 21 PIM in 24 games with the Quad City Mallards (ECHL) in 2017-18. The 6-foot-2, 190-pound native of Barrie, ON has totaled 4-4-8 and 58 PIM in 42 career AHL games with Cleveland. Graves recorded 3-39-42 with 452 PIM in 281 career OHL games with the London Knights, Oshawa Generals, Kingston Frontenacs and Mississauga Steelheads. MacInnis collected 6-8-14 and 22 PIM in 59 games with the Tucson Roadrunners (AHL) last season.